The Nigeria Labour Congress NLC has expressed shock at recent comments credited to the minister of labour and employment, Chris Ngige who was quoted by some national dailies as saying that Nigerian workers should wait beyond September 2018 for the New National Minimum Wage. A statement signed by the President of Congress, Ayuba Wabba said organized labour was amazed at the comment, as it was the same Minister that in February 2018 without prompting or pressure announced to the world that by September, 2018, the Federal Government would start paying the new national minimum wage. Congress further said the minister’s latest comment is not only provocative but also insensitive especially in the face of the excruciating suffering being endured by Nigerian workers particularly as occasioned by the increase in the cost of living. 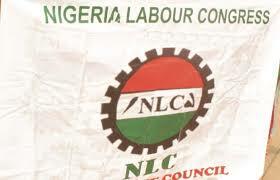 NLC in the statement reminded the minister that Nigerian workers who are not privileged to earn fat salaries, allowances, estacodes and other bonuses of political appointment are looking forward to enjoy minimal relief in the form of the new national minimum wage. It said the leadership of the NLC regards the current statement of the minister as inconsistent with the commitment so far demonstrated by the tripartite committee set up by President Muhammadu Buhari to review the 18,000 naira National Minimum Wage. The statement also insisted that the Minister’s position is different from the declaration made by Vice President Yemi Osinbajo when he represented the President at this year’s May Day Celebrations, adding that the Vice President promised Nigerian workers that government is committed to ensuring that the issue of the new National Minimum Wage is concluded and delivered. Nigerian workers are shocked by statements credited to the Minister of Labour and Employment; Dr Chris Ngige, and reported by many national media houses that Nigerian workers should wait beyond September 2018 for the New National Minimum Wage. We used the word “shocked” because it was the same Minister that in February 2018 without prompting or pressure announced to the whole world that by September, 2018, the Federal Government would start paying the new national minimum wage. The current volte face by the Minister of Labour is not only provocative; it is also insensitive especially in the face of the excruciating suffering being endured by Nigerian workers particularly as occasioned by the increase in the cost of living. Do we need to remind the Minister that he was once a civil servant who always looked forward to his monthly salary? Nigerian workers who are not privileged to earn fat salaries, allowances, estacodes and other perks of political appointment are looking forward to enjoy minimal relief in the form of the new national minimum wage. The leadership of the NLC regard the gaffe as inconsistent with the fervour so far demonstrated by the tripartite committee set up by Mr President to review the National Minimum Wage. The Minister’s stance is also at variance with the declaration made by Vice President Yemi Osinbajo when he represented Mr. President at this year’s May Day Celebrations. He Yemi Osinbajo promised Nigerian workers that government is committed to ensuring that the issue of the new National Minimum Wage is concluded and delivered. Our concern is “who is the Minister of Labour speaking for?” Nigerian workers want to know who has sent Dr. Chris Ngige on this nebulous errand. On whose side is the Minister of Labour on the upward review of the National Minimum Wage? Our position was that we would expedite actions at the level of the tripartite committee on the minimum wage and ensure that discussions and negotiations are concluded by August 2018 so that Nigerian workers can start benefitting as quickly as possible from the New National Minimum Wage. Finally, may we remind the Minister that the review of the National Minimum Wage is long overdue. The 2011 Belgore Tripartite Committee set up by government agreed that the review of the Minimum Wage should happen every five years. It is now close to eight years that the last review of the national minimum wage took place. Nigerian workers demand a Change in the humiliating culture of forcing workers to bargain too hard and wait too long for meagre increases in their salaries. It will be a great disservice to his boss; Mr. President, if he keeps taking for granted this very important issue of a new national minimum wage. For many Nigerian families, this is the difference between survival and extinction. The NLC, therefore, categorically rejects the continued delay in approving our demand of N66,500 as the New National Minimum Wage.